EDMONTON, AB, Aug 27, 2013/ Troy Media/ – Speaking to employees, vendors, customers or even the general public is not easy. 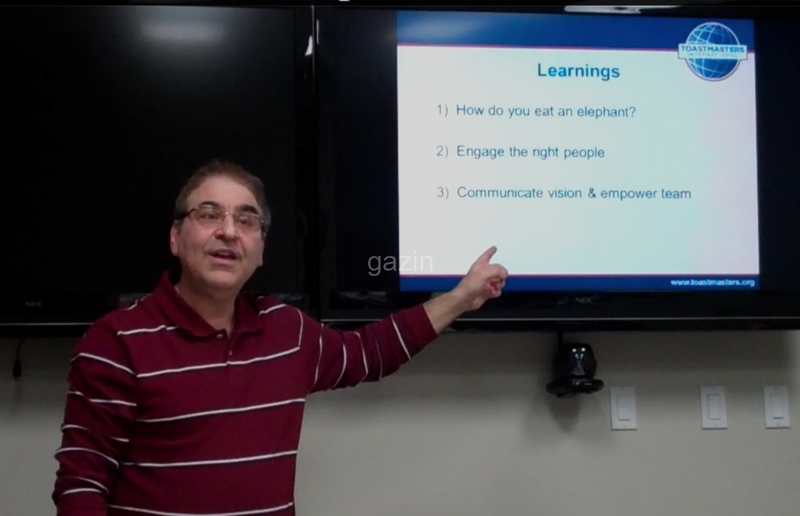 In fact, public speaking can cause havoc to our systems. Scary, isn’t it? When speaking publicly, we lack confidence; we feel our stomachs churning, chests thumping and hearts fluttering like it’s the end of the world. Although there are many remedies for curing the butterfly jitters, one stands out above the rest: “Focus on the message and not the medium”. Would you use one single club to play a game of golf? EDMONTON, AB, Aug 3, 2013/ Troy Media/ – Do you use only one club to play golf? When leaving the house to head out to the course, do you wear the same coat whether it’s hot, cold, raining or sunny outside? Probably not, so why is it that, despite no two people being alike, many businesses only seem to have one single sales pitch? EDMONTON, AB, Jul 12, 2013/ Troy Media/ – “Your call is important. Please stay on the line and someone will be with you shortly.” After hearing that for the 27th time, it starts to become annoying, doesn’t it? If you’re like me, you probably dream hearing it in your sleep. It might even become your worst nightmare. Repetition can be monotonous – like having to make it through summer reruns on TV or listening to verbal filler such as “Like I said,” or “Did I tell you this already?” which occurs when not having enough to say or simply stumbling over your words. And when it happens in conversation or during a presentation, it can detract from getting your point across. 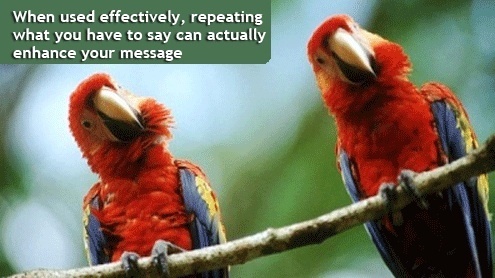 However, when used effectively, repeating what you have to say can actually enhance your message.